We often hear Obamacare should be repealed and replaced by a more market oriented health care system that is patient centered and maximizes the rights of individuals. Health insurance rates reflect the high underlying costs of healthcare. To illustrate, look at the Federal Employees Health Benefit (FEHB) Program. 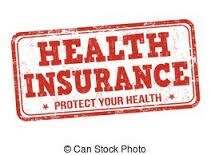 The FEHB Program gives a pretty good idea of what health insurance premiums are like for high quality health insurance which meets Obamacare standards and has reasonable deductibles. For example, the total 2017 premium costs for the Blue Cross/Blue Shield standard plan (their best plan) are: Self-only—$8,519; Family—$18,631. The employer, the federal government, pays the majority of the premium cost. Is it any wonder premiums and deductibles on Obamacare exchanges seem very high to individuals purchasing Obamacare insurance, especially if their income is too high to qualify for Obamacare subsidies? We should bear in mind Obamacare already is a market-based system. Private insurance companies decide whether to participate and what policies to offer. They set the premiums and deductibles (subject to state regulation). If insurance companies can’t cover their costs, they withdraw from the market. Individuals can be charged more if they smoke, live in high cost areas or get older. It’s not a completely free market system because the government imposes strict quality standards on what features insurance policies must include. These standards include 10 required coverage features, no annual or lifetime caps on benefits, and no penalties for preexisting conditions. Rates for older people cannot be more than three times higher than for younger people. A free market would allow drastically lower quality insurance products back on the market. Yes, there would be something for everyone, but the quality would be much, much lower than the current Obamacare policies require. We would be going back to “junk” insurance or insurance that provides just a dab of coverage. The situation is very similar to the markets for jewelry and used cars. For these products, markets provide a vast range of quality and price. You have very cheap jewelry for under $10 and used cars for just a few hundred dollars. Free markets in a sense solve the problem of access to these products. There truly is something for everyone including people with low incomes. The question is: Do we want to allow a free market in health insurance that would provide a similar range of quality and price? In the U.S., there are multiple health insurance systems. Each of them involves public subsidies of one form or another. None attempts to impose free market discipline similar to what exists for car insurance or homeowners insurance. (If you have a lot of car or home claims, your rates will go through the roof.) Obamacare is by far the most market oriented of these systems and yet it is strongly criticized for being insufficiently free market. Medicare beneficiaries pay very low premiums in relation to the actuarial cost of their coverage. (Premiums go up somewhat for higher income individuals.) No one pays more because they smoke, live in high cost areas, or get older. Medicare is primarily financed through a 2.9 percent payroll tax plus a surtax on high-income individuals. Medicaid and VA beneficiaries pay minimal charges for their care and likewise are subjected to little or no market feedback. Both Medicaid and VA receive funding from the highly progressive federal income tax. The Medicaid expansion benefit is financed through Obamacare taxes. Employer based health insurance, the system covering nearly half the population, provides an estimated tax expenditure (tax break) of $236 billion per year to beneficiaries. Employer health insurance enforces the Obamacare standards except where grandfathered policies are allowed. Obamacare has dedicated taxes and provides subsidies to low income individuals (phasing out at 400X poverty) as well as subsidies directly to insurance companies. Obamacare permits limited market discipline as indicated earlier. There simply is no way to avoid massive subsidies of one form or another (greater than we have now) if everyone is to have high quality, affordable health insurance. The subsidies can be in the form of refundable tax credits, direct payments to individuals or insurance companies, government funded high-risk pools, grants to community health centers or a combination of methods. Politicians who pretend they have a free market solution to health care insurance without increasing the current subsidies are simply not being realistic.